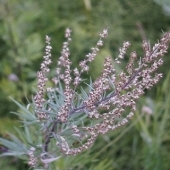 Mugwort is a small perennial shrub growing to about 1.5m tall. The scent of Mugwort repels a broad range of insect species although some species of moth and butterfly will still use it as a host plant. Approximately 600 seeds per packet. 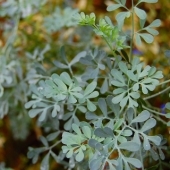 Rue is a highly aromatic, small perennial shrub with yellow flowers. The scent of Rue leaves repel ants, beetles and flies. Rue can even be planted to help prevent cats and dogs digging up your vegetable patch as they detest its smell as well. 100 seeds per packet. 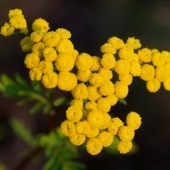 Tansy is a perennial with aromatic fern-like folliage smelling similar to camphor and rosemary. Said to repel ants, flies, beetles, squash bugs and aphids. Also used as a compost activator. Flowers can be used in dried flower arrangements. Approximately 800 seeds per packet. 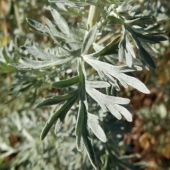 Wormwood is a small perennial shrub that grows to just over 1m tall. The scent of Wormwood repels slugs, beetles, ants, flies, mosquitoes, caterpillars and even mice. Stunts the growth of plants growing around it, especially fennel, sage and similar herbs, so keep it well clear of other plants. Approximately 2700 seeds per packet. 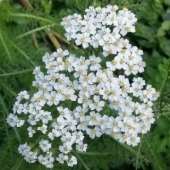 White Flowered Yarrow is a perennial that grows about half a metre tall. The white, sweet-scented flowers attract hoverflies, ladybirds and caterpillar-parasitic wasps. Scent of the feathery foliage repels ants, mosquitoes, ticks and certain species of beetles and flies. 12-15 months to flowering. Approximately 1000 seeds per packet.